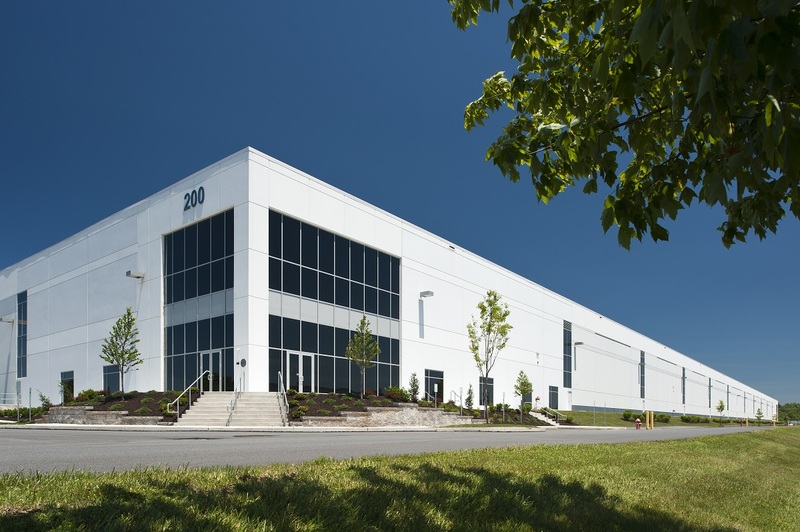 Blue Rock Construction turned an unusable 1950s-era warehouse into a modern 400,000-square-foot Class A distribution facility as part of the Capital Logistics Center in Middletown, PA, for Woodmont Industrial Partners. Classified a DEP Act 2 site and a Brownfield Redevelopment Property, the old and inefficient 480,000-square-foot facility was demolished. Using the existing foundation, Blue Rock replaced it with a highly efficient facility with a superior product-flow design. 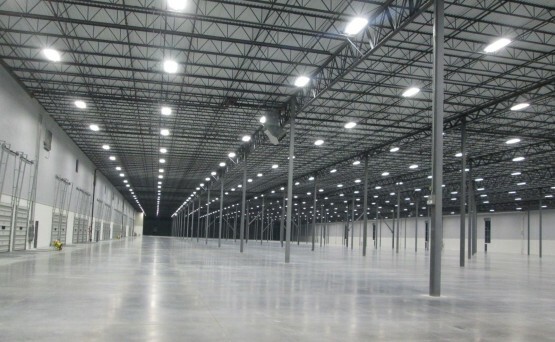 The distribution facility also earned LEED Silver certification. As a design-build partner, Blue Rock advised Woodmont Industrial Partners of creative techniques to minimize costs and utilize components from the original structure while maintaining strict regulatory guidelines. Concrete walls and the roof of the existing building was processed to create over 21,000 cubic yards of recycled concrete aggregate, which was repurposed on-site and used to complete the four-foot high loading dock. 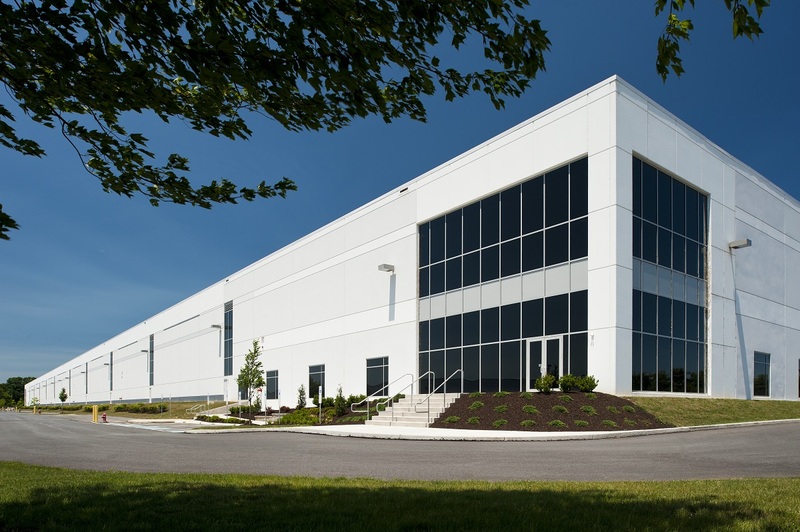 Capital Logistics Center is a modern, six-building 1.5M-square-foot industrial park situated on over 100 acres in Middletown, PA. 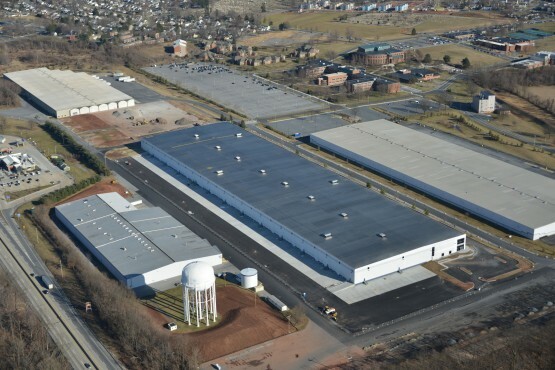 The property is located in the industrial corridor in Middletown, PA, and offers convenient access to all of Central PA’s highways (PA Turnpike, I-78, I-81, I-83, Rt. 283, and Rt. 322). Woodmont Industrial Partners is an affiliate of Fairfield, N.J-based Woodmont Properties, a leading real estate development and management firm established in 1963. Woodmont Industrial Partners was formed in 2011 and acquires warehouse properties in select, high-barrier-to-entry and globally oriented seaports of New York/New Jersey, Baltimore and South Florida, and the inland ports of the Lehigh Valley and Harrisburg regions in Pennsylvania. Woodmont is continuing to build a portfolio of high-quality assets via the acquisition of individual properties as well as development opportunities.